2. In a small bowl, mix together all of the dry ingredients thoroughly. In a separate, medium bowl, whisk together the wet ingredients. Pour the dry ingredients into the wet ingredients and mix until just combined. 3. Pour the batter into the cake molds and top with blueberries. Use a spoon to lightly swirl the blueberries into the cake. 4. Mix together the ingredients for the streusel, until it forms a cookie dough-like texture. 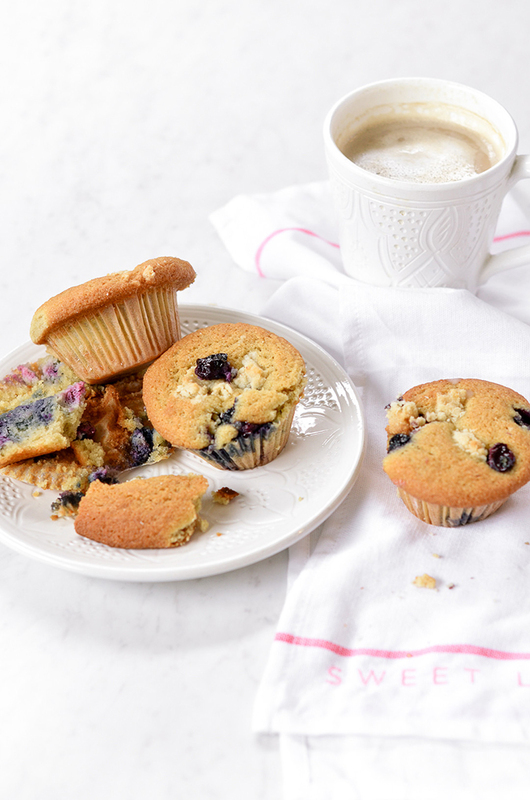 Crumble the streusel onto each muffin cup and pop in the oven. Bake for 20 to 25 minutes, until the cake pulls away from the sides and is golden brown. Turn out of cake molds and cool completely before cutting. Enjoy! 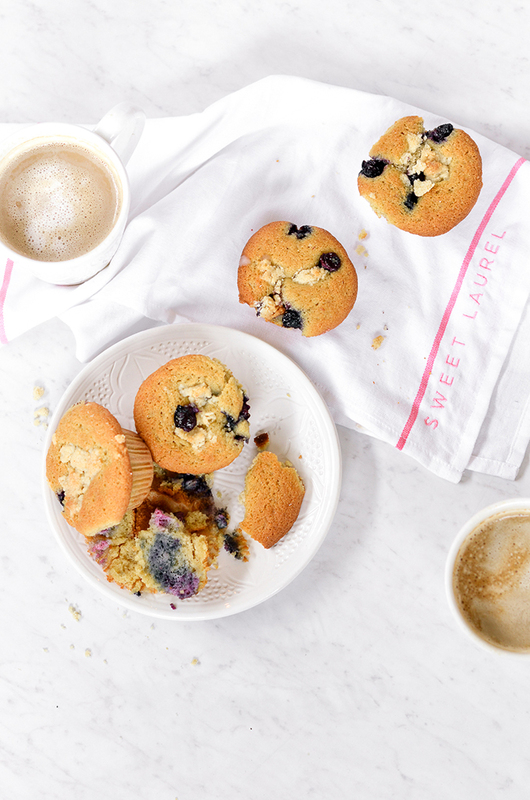 Trust us when we say your coffee and muffin morning routine will never be the same after you’ve tried these! If you think these look good, be sure to click here to scoop up a copy of the new Sweet Laurel Cookbook, available for purchase now. 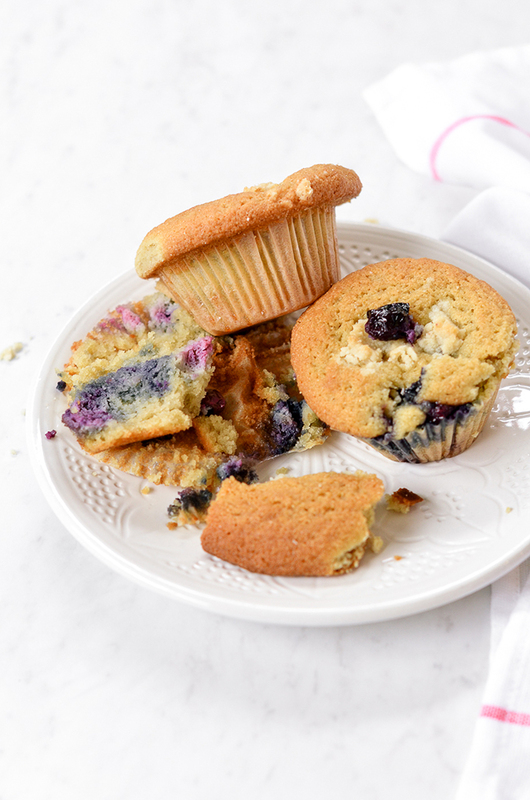 Will you give these blueberry streusel muffins a try? P.S. 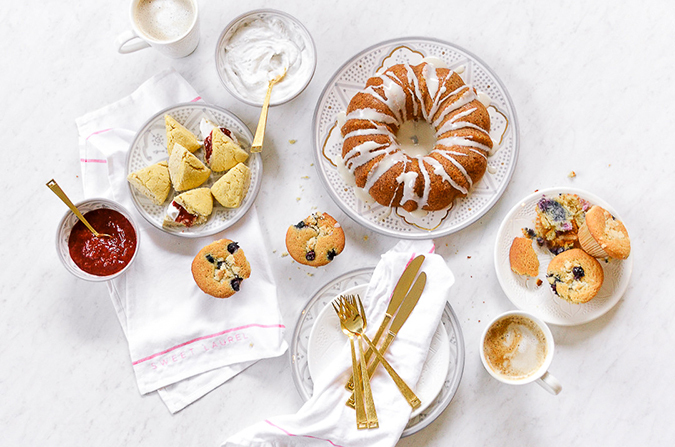 Complete your brunch spread by adding this Sweet Laurel lemon Poppy Seed Bundt Cake and these Sweet Laurel Scones with and Coconut Crème Fraiche and Mixed Berry Jam!